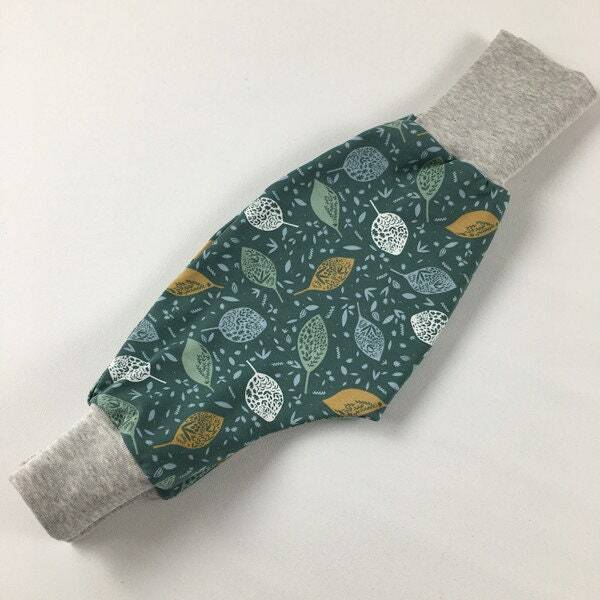 Cute cuddly pants in green biojersey with leaves. Thanks to the long cuffs on the abdomen and legs, the cuddly trousers are very adaptable and grow up to two sizes. The trousers offer a lot of freedom of movement.